​​Welcome to Mastros Family Dentistry! We proudly offer a wide range of general and cosmetic services to fit your need and budget and welcome patients of all ages. We offer a comfortable, clean, and friendly office that is fully equipped to deliver high quality dental care. We have a first class team that strives to empower you to take charge of your oral health, and our cosmetic services can help you gain the beautiful smile you may be seeking. Welcome! We have reserved an appointment just for you! Because we strive to attend promptly to all of our patients, we ask that you arrive on time. If you have dental insurance, please bring that information to your appointment as well as a copy of any recent dental x-rays. ​We are excited to see you for your first visit. We use this opportunity to get to know your needs and address any questions or concerns you may have. Whether your first visit is for a cleaning and examination, consultation, or problem focus, we strive to get to know you and understand your past dental experiences as well as your goals for your smile. 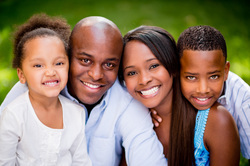 We participate with most major dental plans and are in-network for most plans. Even if we are not currently preferred providers in your network, we will be happy to help you understand and maximize your benefits. Please bring your insurance card or information with you to your first visit. We submit and track all claims for you and will ask you to confirm this information at subsequent visits so we continue to process them correctly. We follow State and Federal guidelines and OSHA standards for cleanliness and safety. Each room is thoroughly sanitized between each patient. Before your visit, we disinfect all of our dental instruments in a designated area with modern sterilization machines. Our machines are also analyzed by an off-site, independent company to demonstrate effectiveness. ​We use reputable local and national laboratories to fabricate our crowns, bridges, and appliances. We use durable aesthetic nonmetal materials such as zirconia and lithium disilicates to fabricate our crowns. We also offer time tested alternatives such as gold, noble metal, and porcelain fused to metal crowns and bridges.